Posted on Wed, Jun 20, 2012 : 3:51 p.m. It's looking unlikely that a proposal to legalize marijuana in Michigan will make the November ballot, but there still may be hope for legislative reforms regarding medical pot. Supporters of a proposal that would make marijuana legal for people 21 and older told MLive.com on Wednesday they have received roughly 40,000 voter signatures, far short of the nearly 323,000 signatures needed by July 9 to make the ballot. "Unless things change, it looks like we won’t make it," Matt Abel, an attorney and organizer of the campaign, told MLive.com. "Realistically, we definitely have an uphill battle." The push to legalize marijuana in Michigan is stalling, but there may be hope for medical marijuana reforms. Ann Arbor City Attorney Stephen Postema said on Wednesday he's closely tracking legislation that would allow municipalities to regulate medical marijuana dispensaries locally and end the debate over whether they're allowed under the Michigan Medical Marihuana Act. Dispensaries in Ann Arbor and elsewhere in the state have been the subject of much legal scrutiny, including police raids, as the courts have tried to hash out the issue. "There is what's been called a local option provision, and that provision will allow municipalities to regulate (medical marijuana), as the city of Ann Arbor has already done," Postema said. "But it will allow, in the statute, dispensaries that are not currently set forth in the statute. That has been the big problem, in a sense, of the medical marijuana act." House Bill 5580, which has bipartisan support, was introduced by state Reps. Mike Callton, Kevin Daley and Phil Cavanagh on May 1 and referred to the House Judiciary Committee. The bill still hasn't moved out of committee, though. Alan Klein, a legislative aide in Callton's office, said on Wednesday they're currently trying to schedule a committee hearing. The House is on break and will be back in session for one day in July, one day in August and then for nearly three weeks in September. Postema noted the legislation would require support from at least 75 percent of the members of both chambers of the state Legislature. "The likelihood of that succeeding is difficult to assess right now, but there are significant efforts going forward," he said. 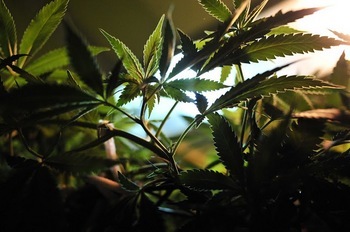 Two groups also have launched a campaign to put a measure on the November ballot that would redirect police efforts away from enforcing laws against marijuana use in Ypsilanti. Fri, Jun 22, 2012 : 12:27 a.m. I must admit to a personal stake in this. To all who oppose legalization of Marijuana: one of my daughters has degenerative disc disease that 4 surgeries have failed to correct. She has had every pill that Big Pharma has to offer and the only long-term effects she's had from all these pills is increased tolerance(hence the need to take more which is exactly what Big Pharma wants!! ), liver and kidney problems which necessitated her stopping all these pills(too bad, Big Pharma. not as much $$$ in your coffers! deal with it.). as I type this, her only means of managing her pain is a hot shower and a joint, and it works. So. To all the &quot;just-say-no&quot; people out there who think that marijuana is a bad thing: how dare you tell my daughter that what she is doing is wrong. how dare you expect her to live our her life in this kind of pain. How dare you tell her that she has no right to expect any quality of life. I am confident that if you had to live with the kind of pain she experiences on a daily basis, it just might change your mind. I hope so. Thu, Jun 21, 2012 : 12:32 p.m. I would think that our current group of legislatures would jump on a chance to decriminalize marijuana. It would lesson the number of restrictions on citizens, save the state a LOT of money and probably ease government employment as we would need far fewer prison cells and guards. Thu, Jun 21, 2012 : 3:39 p.m.
Law and order posturing still attracts a lot of votes, from police unions, prison workers, McMansion dwellers, and arch-conservatives. Thu, Jun 21, 2012 : 2:05 a.m.
&quot;Two groups also have launched a campaign to put a measure on the November ballot that would redirect police efforts away from enforcing laws against marijuana use in Ypsilanti&quot;. So, I guess if you don't like the law, ask the police to look the other way. That's kind of like asking the police not to enforce drunk-driving if I plan on drinking and driving; or asking the IRS not to pay any attention if I don't feel like paying my taxes. Simply ridiculous. Thu, Jun 21, 2012 : 12:21 a.m. I spoke to some of the big names in pot legalization in this state the last few months and all agreed that this effort was doomed from the start due to inadequate funding to finance a proper organization to collect signatures. Thu, Jun 21, 2012 : 12:06 a.m.
What are they smoking? We need reform and we need it now. Just kidding, let the weed wars rage on! Thu, Jun 21, 2012 : 1:25 a.m.
&quot;let the weed wars rage on!&quot; What? Why? The war on drugs was lost a long time ago. Wed, Jun 20, 2012 : 9:49 p.m.
we can make K2 illegal in a few weeks,why can't we make pot legal in a few weeks. Wed, Jun 20, 2012 : 9:19 p.m.
Fri, Jun 22, 2012 : 12:15 a.m.
Thu, Jun 21, 2012 : 12:53 a.m.
&quot;But when it comes to pot ( I can't spell marijuana )&quot; You spelled it correctly. :) And I agree with your sentiment, though I'm not far right. Ross is right, it's not a partisan issue, it's a common sense issue. Wed, Jun 20, 2012 : 9:51 p.m.
No shock - this is not a partisan issue. It's a common sense one. You are absolutely correct. Wed, Jun 20, 2012 : 9:08 p.m. The Legislature can do whatever they want. Those guys are only in office for a short time, and we have a lifetime. If we fail to get enough signatures this year, we'll be back in 2016 if it's not legal nationwide by then. I would like to thank everyone who spent time gathering signatures. It was a helluva effort for a volunteer army. We got smarter and if we have to wait 4 more years, we will start that campaign with experience under our belt, money in the bank, and the same grit in our souls! The dam is breaking across the country. Marijuana is never going away! Wed, Jun 20, 2012 : 8:52 p.m. Polls consistently show around 50% of the country supports legalization. How long before laws begin to reflect those views, at least in terms of easing up on punishment? Thu, Jun 21, 2012 : 1:23 a.m.
&quot;50% of the country supports bank robbery&quot;. Do you really think that will ever happen? Mike doesn't understand the difference between non-consensual crimes like robbery and consensual crimes like drinking a beer during alcohol prohibition or using marijuana during marijuana prohibition. Failed logic, Mike. Thu, Jun 21, 2012 : 1:09 a.m.
How long before the law catches up with the fact that 99% of people don't make a complete stop at stop signs? Thu, Jun 21, 2012 : 12:08 a.m.
What are we going to do when according to polls, 50% of the country supports bank robbery? Wed, Jun 20, 2012 : 8:29 p.m. Wed, Jun 20, 2012 : 8:15 p.m.
&quot;as the courts have tried to HASH out the issue.&quot; Good one, Ryan.